The principal statute governing insolvency of legal entities and individuals in Russia is Federal Law No. 127-FZ on Insolvency (Bankruptcy) dated 26 October 2002 as amended (the Insolvency Law). The Insolvency Law contains a detailed description of insolvency proceedings, insolvency criteria and the regulation of activities of insolvency administrators. Apart from the Insolvency Law, other laws regulate financial rehabilitation and insolvency issues. For example, the Commercial Procedure Code contains rules on administration of the insolvency cases by commercial courts. The Federal Law on Bank and Banking Activities and the Federal Law on the Central Bank of the Russian Federation govern the financial rehabilitation procedures applicable to banks and some matters related to their insolvency. The Federal Law on Self-Regulated Organisations and the Federal Law on Non-Commercial Organisations are both applicable to the activities of self-regulated organisations of insolvency administrators. The Supreme Court of Russia and the Supreme Commercial Court of Russia (which merged with the Supreme Court in 2014) have issued various interpretations and clarifications.2 These interpretations and clarifications concern, inter alia, such issues as the payment of interest in the course of insolvency, challenging transactions of the insolvent party, appointment and dismissal of insolvency administrators, liability of owners of the insolvent entity and procedural issues. The lower courts generally follow the legal precedent of the Supreme Court and the Supreme Commercial Court. Under the Insolvency Law the Russian state commercial courts administer all insolvency proceedings.3 The powers of the court are described in Section V.
This chapter discusses the general regulation of the insolvency procedure and priorities applicable to legal entities. For specific types of legal entities and individuals the regulation may differ, as discussed in Section I.vi. Russian insolvency law sets distributional priorities among the claims of the creditors of an insolvent party. All claims to the insolvent party are divided into three categories: post-commencement claims that arise after the start of insolvency proceedings; claims that arose prior to the start of insolvency proceedings and must be registered in the register of creditors' claims; and claims that may not be registered in the register of creditors' claims because they were filed late. Claims that must be registered in the register of creditors include monetary claims and claims for specific performance that may be evaluated, such as claims for performance of works or services.5 These claims may be satisfied only in the course of the insolvency proceedings after they are registered in the register of creditors. This is discussed in greater detail below. If the claims are not confirmed by the previous court decision, the court must consider the applications and the objections of other creditors and the administrator on their merits. This is a similar process to the consideration of claims for collection of debt out of an insolvency case. The ruling of the court on the registration of the claims is immediately enforceable and may be appealed.8 A pending appeal does not suspend the registration of the claims unless the appellate court issues a separate order to that effect upon the request of the appellant. If the claims are confirmed by an arbitration award or foreign judgment that has not been recognised and enforced in separate proceedings, the court may consider only those limited objections relating to the grounds on which the arbitral award or foreign judgment may be denied recognition in Russia.10 For instance, the creditors may object to registration of the claims confirmed by an arbitration award on the grounds that the claim is fraudulent or artificial and its registration would violate public policy and other creditors' rights.11 If the court finds one of these objections well-grounded, it may fully reconsider the creditor's claim on the merits. Other claims, such as claims for declaratory relief and claims to request the debtor to return assets belonging to the creditor (e.g., leased assets), may be considered and granted in separate proceedings rather than in the course of the insolvency case. claims for contractual and any other penalties, and any lost profits by creditors. The Insolvency Law provides that lower priority claims against a debtor could not be satisfied earlier than the higher priority claims. If the debtor's assets are insufficient to satisfy claims of one priority, the claims of this priority will be paid pro rata. The court will not deem a transaction of a debtor invalid as a transaction providing unequal consideration (item (a) above) or a transaction leading to preferential treatment of certain creditors (item (c) above) upon a relevant application, if this transaction has been made in the course of usual business of the debtor and the value of this transaction is less than 1 per cent of the assets of the debtor.22 This rule does not apply to transactions of a debtor that were aimed at violating the creditors' rights and interests (item (b) above). Article 61.6 of the Insolvency Law provides consequences of the invalidity of a transaction of a debtor. All assets transferred by the debtor to its counterparty under the invalid transaction must be returned to the debtor's estate. If the restitution of the debtors' assets is not possible, the counterparty under the invalid transaction is obliged to pay to the debtor the market price of the assets at the moment of the transaction and damages incurred owing to the change of the market price of the assets (if any). Claims of the counterparty under the invalidated transaction connected with the invalidation are to be satisfied in two ways depending on the basis of invalidation. Claims of a counterparty under an invalid transaction arising in connection with its invalidation will be registered as third-priority claims if this transaction was invalidated because of provision of unequal consideration (item (a) above) or because of the preferential treatment of the creditor (item (c) above) that was not aware of the signs of insolvency of the debtor. If the transaction was invalidated because of the violation of other creditors' rights and interests (item (b) above) or because of the preferential treatment of the creditor (item (c) above) that was aware of the signs of insolvency of the debtor, the claims arising in connection with invalidation of the transaction will be paid after the third-priority claims (lowest priority). In addition to the special grounds set by the Insolvency Law, fraudulent transfers may violate the rules of Articles 10 and 168 of the Civil Code, which prohibit abuse of rights and exercise of the civil law rights aimed at evading the law for an illegitimate purpose, as well as other intentional exercise of the civil law rights in bad faith. Insolvency legislation and insolvency proceedings in Russia have a tendency to liquidate the failing business rather than to restore the debtor's solvency. Accordingly, the receivership is the most used insolvency procedure as opposed to financial rehabilitation and external management aimed at supporting and restoring the debtor's business (see Section III). One of the reasons for this emphasis on receivership is that creditors are granted a wide discretion as to the choice of the insolvency procedure to be applied on the debtor. In practice, the financial rehabilitation procedures are usually introduced only at the creditors' initiative. Thus, in most cases the main aim of the insolvency proceedings is the sale of the debtor's assets and the settlement of the creditors' claims. the creditors' right to challenge the debtor's transactions with respect to fraudulent transfers, undue preferences, transactions at low value and other transactions that aim at causing damage to creditors. Creditors may also use Russian insolvency proceedings to hold beneficial owners and other controlling persons of the debtor liable for the debts of a subsidiary. For example, creditors may seek to hold controlling persons liable for the company's debts without pursuing a full insolvency procedure. The creditors may file for insolvency, refuse to finance the insolvency proceedings and after the court terminates the insolvency proceedings – file an application to hold controlling persons liable. Creditors of non-operating companies excluded from the state register of legal entities pursuant to an administrative procedure may also file an application with the court to hold controlling persons liable. Another particularity of insolvency proceedings in Russia is that they are frequently used to enforce a judgment debt regardless of the debtor's actual solvency. The reason for that is that the insolvency legislation provides creditors with more control over the procedure of sale of the debtor's assets and includes tools to recover assets including clawback actions, unlike the general enforcement procedure. Further, the general enforcement procedure is run by the state bailiffs who not infrequently act slowly and inefficiently, unlike the insolvency administrators who are usually selected by creditors as discussed in Section I.v. Creditors have wide discretion to decide on the procedure of sale or appropriation of assets and to make it more flexible and respond to their needs. Namely, they may decide to sell the assets in one lot and, if unsold, have them sold piecemeal. The Insolvency Law provides that the following procedures may be applied in the course of the insolvency proceedings: supervision; financial rehabilitation; external management; receivership; and amicable settlement. Each of these types of insolvency procedures are further explained below. The particularities of the insolvency procedures applied to insolvency of individuals and certain types of legal entities are described in Section I.vi. Supervision is an insolvency procedure applied to a debtor with a view to preserving its property, analysing its financial position, preparing a register of creditors' claims and holding the first meeting of creditors. As a general rule, the supervision is the first, and mandatory, stage of insolvency proceedings.26 Supervision should be completed within seven months of the submission of the insolvency petition.27 The duration of insolvency procedures mentioned here and below is for indicative purposes only, and the court may exceed the time limits if necessary and appropriate. The insolvency administrator must convene the first creditors' meeting no later than 10 days before the end of the supervision. Only those creditors that presented their claims within 30 days of the date of making the publication on the commencement of supervision, and were registered in the debtor's register of claims, have the right to take part in the first meeting of creditors.32 Although missing the aforementioned 30-day deadline will preclude a creditor from participating in the first creditors' meeting, it will not preclude the creditor from submitting their claims to the register of creditors' claims at a later stage. The insolvency administrator replaces the director general of the debtor.47 The insolvency administrator takes inventory of the debtor's assets and takes measures for their protection, appoints an appraiser to value the debtor's estate, arranges for sale of the debtor's assets, recovers funds due to the debtor, searches for and returns any of the debtor's assets that are in the possession of third parties, informs the debtor's employees of their prospective dismissal, maintains the register of claims and makes payment to the creditors according to the register. The debtor and its creditors may agree on an amicable settlement at any stage of the insolvency proceedings. Third parties may also participate and accept certain rights and obligations according to an amicable settlement. Creditors may take a decision on amicable settlement at a creditors' meeting. This decision is taken by a simple majority of unsecured creditors' votes in existence, provided that all the secured creditors vote for the amicable settlement. A settlement agreement may provide for a discount on claims of a creditor, lower applicable interest rate or settlement of claims by way of transfer of assets (rather than monetary funds) only if the relevant creditor agrees.50 Any amicable settlement must be approved by the court. The court may withhold approval for a number of reasons, including a failure to make full payment of claims of the first and second priority, a breach of third parties' rights or breach of the rights of creditors who voted against the settlement or did not agree to it.51 An amicable settlement is not binding on any creditors whose claims were not registered as of the date it was concluded and who did not participate in it for this reason. The court will consider the merits of the insolvency petition for a period of between 15 and 30 days.60 Upon the petitioner's request, the court may introduce injunctive measures available under the procedural rules.61 If the court finds that the petition has merit, it will issue an order to begin the first stage of the insolvency proceedings: supervision. Special requirements apply to the commencement of insolvency proceedings of certain types of legal entities and individuals. They are described in Section I.vi. To prevent insolvency, the debtor has to settle the creditor's claims before the court considers the insolvency petition on the merits and demonstrate to the court that the criteria for introducing supervision are not met. The court, the insolvency administrator and the creditors (generally through the creditors' committee or the creditors' meeting) control the insolvency proceedings. The court's discretion and powers to control the insolvency proceedings are wide. The court takes the final decision on which insolvency procedures would apply, on the matter of removal of the insolvency administrator, the registration of creditors' claims, declaring transactions of the debtor invalid and resolving any differences between the insolvency administrator and the creditors (such as related to valuation and sale of assets). Any decisions taken by the insolvency administrator, the creditors' meetings66 and creditors' committee may be challenged in court by the parties to the insolvency proceedings. to call creditors' meetings and arrange them. Further, as discussed in Section I.iii, at the external management and receivership the insolvency administrator replaces the debtor's management. Given these wide powers, the character and the fidelity of the insolvency administrator are important for proper conduct of the insolvency proceedings. For the supervision, the creditor who filed for insolvency selects a candidate insolvency administrator or the self-regulated organisation to nominate a candidate as an insolvency administrator.69 If the debtor files for insolvency, it does not select the insolvency administrator. In this case, the court selects a self-regulated organisation that nominates a candidate insolvency administrator, until the Ministry of Economic Development approves a procedure for selection of insolvency administrators. The court approves the candidate administrator if he or she meets all the criteria required by law.70 The creditors at their meeting may decide to change the insolvency administrator and to select another insolvency administrator for further insolvency procedures (such as financial rehabilitation, external management and receivership).71 Apart from that, the creditors cannot decide to remove an insolvency administrator at any stage at their discretion in the absence of any misconduct on the part of the insolvency administrator. If the insolvency administrator breaches the law, the creditors may request the court to hold him or her liable and to remove him or her and nominate another insolvency administrator. The managerial bodies of the debtor may also exercise certain functions in the course of the insolvency (depending on the stage of the insolvency proceedings as discussed in Section I.iii). Individuals and certain entities are excluded from the general insolvency regime (discussed further below). financial institutions whose insolvency procedure is governed a special regime that materially differs from the general regime. A high-level overview of the specific regulation is given below. funds, if the federal law according to which the relevant fund was established prohibits insolvency. The same applies to international organisations with headquarters in Russia that are exempt from Russian domestic regulation and governed by public international law. special regime applicable to specific assets. For example, client assets held by brokers in a special brokerage account or trade account are not included in the broker's insolvency estate; the insolvency administrator cannot dispose of funds the debtor deposited on an escrow account but the insolvency administrator may still challenge the escrow agreement or transfer of the funds to the escrow agent in insolvency. There is special detailed regulation of insolvency of developers aimed at completing the construction of the residential premises and the transfer of the residential premises to the persons who have acquired them.108 For this reason there is a separate register of the claims of these persons whose claims have priority with respect to the premises they have acquired and their other unpaid claims are of higher priority than other creditors' claims. There are detailed provisions on the transfer of the unfinished construction to a building society set by the creditors who acquired premises from the debtor. The Central Bank may appoint a temporary administration of a financial institution for three to six months with a possibility of a three-month extension.112 The temporary administration consists of an insolvency administrator and other members selected by the Central Bank. Its functions and powers are similar to the powers of temporary administration of a credit institution discussed below. There are limitations on performing certain transactions; however, there is no general moratorium on payment to creditors. The Central Bank nominates an insolvency administrator, and there are special requirements applicable to him or her.120 In the case of an insolvency of a pension fund, which is engaged in mandatory pension insurance121 or an insurance company,122 the State Corporation Deposit Insurance Agency (DIA) acts as the insolvency administrator. The insolvency of credit institutions, such as banks, is governed by very detailed special rules, which differ from the rules regulating the insolvency of other financial institutions. There are special rules regulating post-commencement claims of credit institutions, registration of creditors' claims, challenge of transactions and directors' liability. There is also detailed regulation concerning specific issues relevant to financial markets such as subordinated loans, completion of relations under financial contracts and clearing relations, etc. Secured creditors do not have any priority over first and second priority claims. Amendments to the law introduced new resolution mechanisms applicable to major banks, insurance companies and construction companies. In general, the following insolvency procedures may apply:148 restructuring of debts; a sale of assets; and a settlement agreement. If there is no basis for the approval of a debt restructuring plan, the court declares the debtor insolvent and commences the procedure of sale of assets.153 The aim of this procedure is to have the debtor's assets sold and the creditor's claims repaid. In the end of the sale of assets, the court is to rule on the discharge of the debtor from unsettled claims.157 The court will not release the debtor from obligations if it acted unlawfully or in bad faith while undertaking or performing its obligations, which serve as a ground for the creditor's claims. For instance, the court will not issue a discharge order if it finds that the debtor intionally gave false information to the insolvency administrator or the court in the course of the insolvency proceedings. If this became known after the insolvency proceedings are complete, the decision to release the debtor from its obligations may be set aside. In any event the debtor cannot be released from certain types of debts including post-commencement claims, claims for compensation of harm to life or health, claims for payment of salary, alimony claims and claims to hold the debtor liable for his or her actions as a director of a legal entity or for damage caused as an insolvency administrator.158 Upon completion of insolvency proceedings the court issues enforcement orders and the creditors may enforce their claims via the general enforcement procedure. The Insolvency Law does not regulate non-main or ancillary proceedings in Russia with respect to a foreign person. The economic situation differs across various sectors of economy. The growth of retail sales amounted to 2.4 per cent in May, after 2.7 per cent in April. The retail sales are supported by the growth of real disposable income and a growth of unsecured consumer credit. The data released by the Supreme Court in 2017 shows that 79,358 new insolvency petitions were filed, including 27,376 petitions filed by debtors, 32,138 petitions filed by private creditors and 6,939 petitions filed by tax authorities. Those include 34,174 petitions to declare individuals insolvent. In 11,725 cases, the courts introduced the supervision. In 8,690 cases, after the completion of the supervision, the courts declared the debtors insolvent and introduced the receivership. In 9,788 cases, the receivership was completed, and in 1,992 cases the proceedings were terminated. The courts introduced 334 external management procedures and financial rehabilitations in 29 cases. In 2017, there was no case that was terminated as a result of repayment of debts in the course of financial rehabilitation. In most cases, the courts introduced a receivership stage after the expiration of the term of the financial rehabilitation or terminated the proceedings upon approval of a settlement agreement. The claims were fully repaid after the external management procedures in 13 cases only. In most cases (299), debtors were declared insolvent and receivership was introduced and the receivership procedure was terminated after sale of the debtors' assets, and the debtors were liquidated following it. In 2017, the courts received 25,205 applications to declare transactions invalid, 1,534 requests to remove insolvency administrators and 2,251 applications to hold debtors' controlling persons liable. According to statistics published by the Centre of Macro-Economic Planning for the fourth quarter of 2017,178 the number of insolvencies increased by 3 per cent as compared to the third quarter of 2017 and by 13.2 per cent as compared to the fourth quarter of 2016. In November and December 2017, the level of bankruptcies exceeded the peak value of March 2015 by almost 5 per cent. The increase concerned most industries, in particular, construction and development, retail and business services, transport, electric energy and communications. Most insolvent companies used to operate in construction and business services. Twelve trade companies are on the list of the top twenty largest insolvent companies in the fourth quarter of 2017. At the same time, reduction in the number of insolvent companies was noted in the metal, food, and agriculture industries. As discussed Section I.vii, Russian law does not permit non-main proceedings in respect of foreign debtors. There are no publicly available statistics as to requests for ancillary proceedings (i.e., requests for interim measures to declare transactions invalid or other). Public Company Bank Otkritie Financial Corporation is one of the largest private Russian banks. It was established in 1993 and is on the list of 11 systemically important credit institutions in Russia.179 By the end of 2015, the amount of its assets was 3,363 billion roubles. Shareholders of Otkritie asked for the Central Bank's support and a decision was made to use the new mechanism of resolution involving the Fund for consolidation of the bank sector. Otkritie was the first bank to test the new mechanism. Three months later the Central Bank decided to appoint the Management Company of the Fund for consolidation of the bank sector as the temporary administrator. It replaced the management of the bank. The Management Company estimated that the bank had negative net assets, and decreased the charter capital to 1 rouble. It also terminated subordinated loans and withdrew funds from personal accounts of the bank's management and previous shareholders. No bail-in of claims of ordinary creditors took place. The Central Bank injected 456 billion roubles into the capital of the bank and became a holder of 99.999999999 per cent of its shares. It also appointed the bank's new management. In December 2017, the Central Bank terminated the temporary administration of the bank on the ground that the resolution was complete. The bank's new management is considering restructuring the bank's business, including the transfer of bad assets to a special subsidiary bank that will deal with them, a merger of three pension funds (subsidiaries of Otkritie), the transfer of assets unrelated to banking activities (such as insurance business, pension funds, etc.) to a specialised company. The Central Bank must further sell its shares in Otkritie. However, it may be difficult to find an investor, and the sale may take some time. The Central Bank applied the same resolution measures to two other large banks: Binbank and Promsvyazbank. Yugra Bank was the country's 33rd-largest lender by assets. It served major Russian companies such as Rosneft and Rosatom and attracted deposits from individuals by offering them high interest rates. In July 2017, the Central Bank revoked Yugra's banking licence. The publicly announced reason was that the bank did not meet requirements concerning the operation of a bank. It attracted deposits from individuals and invested them in bad assets, for example, granted loans to companies under control of bank's the beneficial owners. The bank did not make the necessary reserves for such loans. The Central Bank appointed temporary administration. The insolvency of Yugra is a rare case of the shareholders of the bank having tried to challenge the decision of the Central Bank to revoke the banking licence. They argued that the bank met applicable regulations and the decision of the Central Bank was groundless. The court, however, ruled in favour of the Central Bank. The Central Bank filed an application to declare the bank insolvent. The next hearing is scheduled for 9 August 2018. DIA made payments to at least 200,200 individual depositors in an amount of at least 163.96 billion roubles. It was the largest amount ever paid to depositors of an insolvent Russian bank. The Tractor Plants Corporate Group is one of the largest Russian groups in the business of research and development and production of machinery. The group has more than 20 companies in 10 regions of Russia including research and development companies, engineering companies, a foundry plant, a motor production plant, tractor plants, trade and service centres, etc. It produces agricultural machines, construction equipment, military machines and other machinery. The group employs more than 20,000 people. The group received a syndicated loan from a number of banks, including Vneshekonombank. The group faced financial difficulties and failed to service its debt. Its debts gradually increased. According to publicly available information, the total amount of Vneshekonombank's claims is approximately 68.5 billion roubles, the total estimated amount of creditors' claims is 89 billion roubles. The banks proposed restructuring the loans but they failed to reach an agreement. According to Vneshekonombank, the reason is a refusal of the shareholders to apply the bail-in mechanism to inter-group debts. Vneshekonombank filed petitions for the insolvency of a number of companies in the group. In November 2017, the Commercial Court for Chuvashia Region commenced the supervision stage of the insolvency of the group's parent company. Currently, the supervision stage of insolvency is ongoing. The creditors and the debtor have unsuccessfully tried to reach a settlement. On 13 July 2018, the creditors decided to ask the court to declare the debtor insolvent and to commence the receivership stage. The court is likely to agree and declare the debtor insolvent. Nastyusha Grain Company was one of the largest producers of bread in the Moscow Region. It possessed 250,000 hectares of agricultural lands, 23 elevators and enterprises to store grain, flour production plants and bread bakery plants. According to publications in the media, its beneficial owners unlawfully disposed of the company's assets. They granted loans to affiliated companies without intention to repay them. As a result, the company became unable to make payments to its creditors. At the end of August 2017, the Moscow Commercial Court commenced the supervision stage of the insolvency. On 21 February 2018, Nastyusha was declared insolvent and the receivership stage of insolvency commenced. According to publicly available information, major creditors of Nastyusha are Russian and foreign banks, including Rosselkhozbank (claims for 4.9 billion roubles); AO Reverta (ex. Parex Banka) (claims for 2.95 billion roubles); ЭС FORTEBANK (claims for 787 million roubles); ABN AMRO Bank N.V. (claims for 725 million roubles); AKB Finprombank (claims for 411 million ruobles); and AKB Peresvet (claims pending). Other major creditors include JSC Investment Fund of Kazakhstan (claims for 11 billion roubles); LLC AAA Consortium (claims for 4.9 billion roubles). The total amount of claims is approximately 36 billion roubles. A party affiliated to the debtor (JSC Moscow Bread Factory) filed a claim for 18 billion roubles for registration in the course of the insolvency. The court of the first instance dismissed it on the ground that there was no evidence that the loans were made. The receiver pursues the recovery of Nastysha's assets from third parties. It filed applications to declare a number of the debtor's transactions invalid. The court granted some of them while others are pending at the time of writing. Vim Avia Airlines was one of the top-10 Russian airlines. It was founded in 2002 and operated 20 aircraft mostly performing charter passenger flights. In September 2017, it terminated flights on the grounds that it lacked operating cash and had material debts to creditors. Within one month, the Russian Aviation Service suspended the airline's flight licence. A number of applications to declare the company insolvent were filed, including applications from the Federal Tax Service (with claims of 250.9 million roubles); employees (total amount of estimated debt to them is 700 million roubles); banks, travel agencies, etc. In February 2018, the Moscow Commercial Court granted the insolvency petition and commenced the supervision stage of the insolvency. The total amount of creditors' claims in the insolvency is approximately 16.9 billion roubles. Russian law does not permit non-main proceedings as discussed in Section I.vii. There is no information regarding ancillary proceedings for foreign-registered companies. Russian insolvency proceedings generally aim for liquidation of the debtor and enforcement of pledges. Unsecured creditors rarely get any significant amounts from the process. There are no effective general rehabilitation mechanisms. Long-discussed and expected legislation developments related to financial rehabilitation proceedings have not been adopted. The government of the Russian Federation developed a draft law on restructuring proceedings and introduced it to the Duma in August 2017.182 It is unclear to what extent and when the Duma will consider this draft law. In the absence of effective regulation concerning rehabilitation, the legislator has founded ad hoc solutions for companies that are too big to fail, are important for the economy, or whose insolvency would otherwise have negative social effects (such as the insolvency of large construction groups dealing with construction of residential premises). The state created the funds to finance the resolution of major companies in return for their shares. The state further acts as crisis manager and seeks to restructure the business of the companies to make them profitable. Such mechanisms are available for large banks, insurance companies, and construction companies. The Central Bank has already applied this mechanism to three major Russian banks at the time of this writing. At the same time, the Central Bank exercises its control functions very actively, and there have been a large number of cases where the Central Bank revoked the banking licences of less important banks and filed for their insolvency. Trends in court practice include increasing liability and the number of cases where beneficial owners of the debtor are held liable for the debtor's debts. In the absence of regulation of inter-group insolvencies, courts attempt to fill the lacuna and develop case law on this matter to prevent the registration of artificial inter-group claims and the dilution of the assets of the debtor's subsidiaries. In almost every significant insolvency case there are disputes on registration of claims of creditors affiliated with the debtor including non-existent or fraudulent claims. Sometimes such claims are confirmed by court judgments or arbitral awards, and the insolvency administrators or other creditors have to object to such claims in order not to lose control over insolvency proceedings. In many cases there are disputes over voidable transfers or fraudulent transfers. 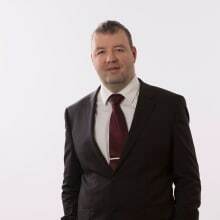 1 Pavel Boulatov is counsel at White & Case LLC. The author would like to thank Daria Scheglova for her assistance with this chapter. 2 Article 19 of Federal Constitutional Law No. 1-FKZ on Court System of the Russian Federation dated 31 December 1996 and Article 13 of Federal Constitutional Law No. 1-FKZ on Commercial Courts in the Russian Federation dated 28 April 1995 (the version effective prior 24 June 2014) provide for issuance of the clarifications and interpretations by the plenary sessions of the Supreme Court (SC) and the Supreme Commercial Court (SCC). 3 Articles 32 and 33 of the Insolvency Law. In Russian 'arbitrazhnie sudi', which are in fact state commercial courts and should not be confused with arbitration courts because of consonance. 5 Non-monetary claims, such as proprietary claims and claims for specific performance must be registered at the receivership stage. 6 For example, claims of employees for payment of salary which are registered by the insolvency administrator without a court decision. 8 Article 71(5) of the Insolvency Law. 9 Section 24 of the Guidance on Certain Procedural Issues Related to Insolvency Proceedings adopted by the Plenum of the SCC on 22 June 2012, No. 35. The Supreme Court ruled that a creditor may also file an application to reconsider the judgment in view of new facts (Ruling of the Supreme Court No. 305-ЭС16-7085 dated 3 October 2016). 10 Same objections as set out in Article V of the New York Convention on the Recognition and Enforcement of Foreign Arbitral Awards. 11 Resolution of the SCC Presidium dated 2 February 2013 No. 12751/12. Resolutions are decisions on specific cases. In the resolutions the SCC Presidium used to express its legal positions on specific matters. The courts follow these interpretations of law. 12 For specific types of enterprises the ranking may differ. See Section I.vi. 13 Ruling of the Supreme Court of the Russian Federation No. 301-ЭС16-17271 dated 30 March 2017. 14 This does not apply to collateral provided by third parties. 15 Despite the strict rule that claims filed late fall to the lowest priority, case law developed a number of ad hoc exceptions, such as where application of the strict rule is manifestly unjust or where the claims became due and payable after the time period for filing claims for registration expired. For example, if a bank makes a payment to a beneficiary under a bank guarantee after the register of creditors of the principal had been closed, the bank may file its redress claims for registration in the register of creditors of the principal within two months from the date they became due. In this case, these claims would not fall to the lowest priority (Ruling of the SC No. 307-ЭС14-100 dated 24 September 2014). Tax inspectorates also have additional six months after the date the register is closed to file their claims if the decision to collect taxes enters into force after the date the register is closed. The time period for filing claims for compensation of damage a controlling person caused a legal entity starts running from the date when the limitation period to hold the controlling person liable started running (i.e., from the date the claimant became aware of the grounds to hold the controlling person liable). 16 Accordingly, creditors's against the surety may fall to the lowest priority if their claims against the principal debtor arise out of a void transaction and will only be satisfied after all other registered creditors' claims (Ruling of the SC No. 303-ЭС16-6738 dated 8 September 2016). 17 Article 61.9(1) of the Insolvency Law. 18 Article 61.2(1) of the Insolvency Law. 19 Article 61.2(2) of the Insolvency Law. 20 Article 61.3 of the Insolvency Law. This category includes, among others, transactions intended to secure previously existing obligations of the debtor or a third party to a particular creditor; transactions that have resulted, or may result in, a change in the order of priorities for satisfying creditors' claims; transactions that have resulted, or may result in, the satisfaction of unmatured claims of some creditors while there are unsatisfied matured claims of others; and transactions that have resulted in a particular creditor enjoying more preference than it would enjoy if the statutory order of priorities applied. 21 Article 61.7 of the Insolvency Law. 22 Article 61.4(2) of the Insolvency Law. 23 The Plenary Session of the SCC declared that a transaction of a debtor concluded before or after commencement of insolvency proceedings aimed at breach of creditors' rights, for example, to decrease the value of the insolvency estate by dissipation of the debtor's assets below value to third parties may be declared invalid on the grounds of Article 10 of the Civil Code on request of the insolvency administrator or a creditor (Clause 10 of the Resolution of the Plenary Session of the SCC No. 32 dated 30 April 2009 on certain issues related to challenge of transactions on grounds set by the Federal Law on insolvency (bankruptcy)). 24 Clause 10 of the Information Letter of the SCC Presidium No. 127 dated 25 November 2008 'Review of practice of application by courts of Article 10 of the Civil Code of the Russian Federation'. The informational letters issued by the SCC Presidium summarises court practice and contained guidelines to lower commercial courts. Russian commercial courts usually follow the guidelines set out in the informational letters. Formally, however, there is no provision of Russian law, which stipulates that the informational letters of the SCC Presidium are mandatory. The SCC gave the same interpretation to Articles 10 and 168 of the Civil Code when considering particular cases. See Resolutions of the Presidium of the SCC No. 6526/2010 dated 2 November 2010 and No. 15756/07 dated 20 May 2008. 25 See: www.cdep.ru/userimages/sudebnaya_statistika/2016/AC1a_2016_svod.xls; www.cdep.ru/userimages/sudebnaya_statistika/2015/AC1a_2015.xls; and www.cdep.ru/userimages/sudebnaya_statistika/2014/Otchet_o_rabote_arbitragnih_sudov_subektov_RF_po_delam_o_bankrotstve.xls. 26 In some cases the supervision does not apply and the court commences receivership if it finds that the insolvency application has merit. For example, this happens if the debtor commences voluntary liquidation before the insolvency proceedings or if the debtor is missing at their place of location and no longer operates. 27 Article 51 of the Insolvency Law. 28 Article 69 of the Insolvency Law. In this case the shareholders will select a new director according to the general procedure. 29 Including, among others, reorganisation and liquidation of the debtor, establishing or acquiring equity interests in other legal entities, the creation of branches and representative offices, making dividend payments and issuing securities. 30 Article 64 of the Insolvency Law. 31 The refinance rate is published at www.cbr.ru/. 32 Article 72(1) and 72(2) of the Insolvency Law. 33 Article 73 of the Insolvency Law. 34 Article 80(3) of the Insolvency Law. 35 Article 80(6) of the Insolvency Law. 36 If the amount of security exceeds for more than 20 per cent the amount of creditors' registered claims, and the schedule provides for first payments to be made to creditors not later than one month after its approval, and complete repayment to creditors within a year. Article 75(2) of the Insolvency Law. 38 Articles 82 and 83 of the Insolvency Law. 39 Article 81 of the Insolvency Law. 40 Article 88(6) of the Insolvency Law. 41 Article 93 of the Insolvency Law. 42 Article 92(2) of the Insolvency Law. 43 Article 99 of the Insolvency Law. 44 Article 109 of the Insolvency Law. 45 Article 119(6) and 119(7) of the Insolvency Law. 46 Article 124(2) of the Insolvency Law. 47 Articles 127 and 129 of the Insolvency Law. 48 Resolution of the Ninth Commercial Appellate Court No. A40-124668/2017 dated 15 May 2018. 49 Article 149 of the Insolvency Law. 50 Article 156 of the Insolvency Law. 51 Articles 150–167 of the Insolvency Law. 52 Article 164(2) of the Insolvency Law. 53 Article 166(1) of the Insolvency Law. 54 Article 8 of the Insolvency Law. 55 Article 9 of the Insolvency Law. 56 Article 7(2.1) of the Insolvency Law (as amended by Federal Law No. 218 FZ dated 29 July 2017). 57 Article 7 of the Insolvency Law. The Supreme Court interpreted this rule as giving right to any person whose claims arise out of banking operations (as defined in Article 5 of Federal Law No. 395-1 dated 2 December 1990 on Banks and Banking Activities)to file for insolvency of its debtors using the simplified procedure. This may apply to persons who acquired claims from the banks (Ruling No. 306-ЭС16-3611 dated 12 October 2016). The banks, however, cannot use the simplified procedure if their claims do not arise out of banking operations (for example, claims related to lease or construction agreements) (Ruling No. 305-ЭС16-18717 dated 27 March 2017). 58 Articles 3(2) and 6(2) of the Insolvency Law. 59 Article 7(2.1) of the Insolvency Law (as amended by Federal Law No. 218 FZ dated 29 July 2017). 60 Article 42(6) of the Insolvency Law. 61 Article 42(7) of the Insolvency Law. 62 Article 7 of the Resolution of the SCC Plenum, No. 35 dated 22 June 2012. 63 Article 12 of the Resolution of the SCC Plenum, No. 35 dated 22 June 2012. 64 Article 11 of the Resolution of the SCC Plenum, No. 35 dated 22 June 2012. 66 Article 15(4) of the Insolvency Law. 67 Articles 10(5), 12(1), 20.3(1), 69.9(1), 71(2) and 139 of the Insolvency Law. 68 The insolvency administrator generally includes claims to the register upon a court decision. The exceptions include employees' claims. 69 Articles 65(1) and 45 of the Insolvency Law. 70 Article 37(5) of the Insolvency Law. The Ministry of Economic Development has not approved the procedure for selection of insolvency administrators. 71 Article 12(2) of the Insolvency Law. 72 Article 12 of the Insolvency Law. 74 Article 139(1.1) of the Insolvency Law. 75 Article 12(2) of the Insolvency Law. 76 Article 18.1(3) of the Insolvency Law. 77 Article 12(1) of the Insolvency Law. 78 Article 150(2) of the Insolvency Law. 79 Article 138(4) of the Insolvency Law. 80 Article 12(1) of the Insolvency Law. 81 Article 17(1) of the Insolvency Law. 82 Article 17(4) of the Insolvency Law. 83 Article 65(1) of the Russian Civil Code. 84 'Kazennoe predpriatie' in Russian. 86 Article 168 of the Insolvency Law. 87 Article 169 of the Insolvency Law. 88 Article 177 of the Insolvency Law. 89 Article 190 of the Insolvency Law. A list of strategic enterprises is established by the Decree of the Government of the Russian Federation No. 1226-p dated 20 August 2009 (as amended). 90 Article 201.1 of the Insolvency Law. 91 Article 201.16 of the Insolvency Law. 92 Rulings of the Supreme Court No. 308-ЭС17-1556(1) and (2) dated 6 July 2017, No. 305-ЭС17-2110 dated 11 July 2017, No. 305-ЭС15-5734 dated 12 February 2018, No. 305-ЭС17-17208 dated 15 February 2018, No. 310-ЭС17-17994 (1, 2) dated 21 February 2018. Resolution of the Supreme Commercial Court No. 9465/13 dated 10 June 2014; Rulings of the Supreme Court No. ЭС 309-ЭС14-923 dated 15 December 2014; No. 305-ЭС15-2572 dated 10 June 2015; No. 305-ЭС16-13167 dated 28 December 2016; No. 305-ЭС16-19572 dated 28 April 2017; No. 309-ЭС17-344(2) dated 25 September 2017; No. 301-ЭС17-4784 dated 11 September 2017; No. 305ЭС17-2110 dated 11 September 2017; No. 310-ЭС17-8992 dated 17 October 2017. 93 Ruling of the Supreme Court No. 305-ЭС17-17342 dated 12 March 2018. 94 Ruling of the Supreme Court No. 305-ЭС17-12763(1,2) dated 18 December 2017. 95 Article 177 of the Insolvency Law. 96 Article 190(3) of the Insolvency Law. 97 Article 197(2) of the Insolvency Law. 98 Article 170 of the Insolvency Law. 99 Article 192 of the Insolvency Law. 100 Article 198 of the Insolvency Law. 101 Article 201.2 of the Insolvency Law. 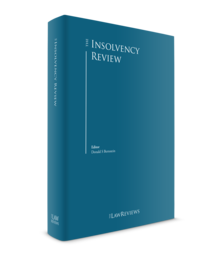 102 Articles 171–174 of the Insolvency Law. 103 Articles 191, 194 and 195 of the Insolvency Law. 104 Articles 175 and 176 of the Insolvency Law. 105 Article 179 of the Insolvency Law. 106 Article 195 and 196 of the Insolvency Law. 107 Article 201 of the Insolvency Law. 108 Article 201.4 and 201.15-2 of the Insolvency Law. 109 Amendments introduced by Federal Law No. 218-FZ dated 29 July 2017. 110 Article 180 of the Insolvency Law. 111 Articles 180(4) and 183.1 of the Insolvency Law. 112 For example, if the financial institutions repeatedly during one month fails to make a payment in 10 days when due, or fails to make a mandatory payment (such as taxes) in ten days when due, or does not have enough funds to make a payment when due. Articles 183.2 and 183.5 of the Insolvency Law. 113 Article 183.16 of the Insolvency Law. 114 Article 184.2 of the Insolvency Law. 115 For example, Resolution of the Ninth Commercial Appellate Court No. 09ЭС-58561/2015 dated 3 February 2016. 116 Article 173.19 of the Insolvency Law. 117 Article 187.6 of the Insolvency Law. 118 Article 183.17 of the Insolvency Law. 119 Article 184.4(3) of the Insolvency Law (as amended by Federal Law No. 222-ЭС dated 23 June 2016, effective as of 21 December 2016). 120 Articles 183.19 and 183.25 of the Insolvency Law. 121 Article 187.8 of the Insolvency Law. 122 Article 184.4-1 of the Insolvency Law introduced by Federal Law No. 222-ЭС dated 23 June 2016. 123 Article 183.26 of the Insolvency Law. 124 Article 185.3 of the Insolvency Law. 125 Article 185.6 of the Insolvency Law. 126 Article 186.5 of the Insolvency Law. 127 Article 187.10 of the Insolvency Law. 128 Article 184.7 of the Insolvency Law. 129 Article 184.10 of the Insolvency Law. 130 Article 186.7 of the Insolvency Law. 131 Article 187.11 of the Insolvency Law. 132 Grounds to use financial rehabilitation measures are set by Article 189.10 of the Insolvency Law and include, inter alia, failure to meet criteria of liquidity or sufficiency of its assets, failure to make a payment when due, etc. 133 Article 189.9 of the Insolvency Law. 134 Article 189.30 of the Insolvency Law. 135 Article 189.31 of the Insolvency Law. 136 The Central Bank may revoke the banking licence in events unrelated to insolvency, such as giving false information while receiving the licence, materially wrong accounting statements and breach of money laundering legislation, etc. See Article 20 of the Law on Banks. 137 Article 189.43 of the Insolvency Law. 138 Article 189.8 of the Insolvency Law. 139 Article 189.61 of the Insolvency Law. 140 Article 189.61 of the Insolvency Law. 141 Article 189.77 of the Insolvency Law. 142 Article 189.92 of the Insolvency Law. 143 Federal Law dated 1 May 2017 No. 84-FZ 'On amendment of certain legislative acts of the Russian Federation'. 144 Amendments introduced by Federal Law No. 87-FZ dated 23 April 2018. 145 In 2017 RUB/USD exchange rate fluctuated from 56 to 60 roubles to 1 dollar. 146 Article 213.3(2) of the Insolvency Law. 147 Article 213(4) of the Insolvency Law, clauses 8–10 of the Resolution of the Plenary Session of the SC, No. 45 dated 13 October 2015. 148 Article 213.2 of the Insolvency Law. 149 Article 213.6 of the Insolvency Law. 150 Article 213.11 of the Insolvency Law. 151 Article 213.14(2) of the Insolvency Law. 152 Article 213.17(4) of the Insolvency Law. 153 Article 213.24 of the Insolvency Law. 154 Article 213.25(3) of the Insolvency Law, Article 446 of the Civil Procedure Code. 155 100 minimum salary rates set by the Russian government, which is 7,500 roubles as of 1 July 2016. 156 Article 213.27 of the Insolvency Law. 157 Article 213.28 of the Insolvency Law. 158 Article 213.28 (3, 5 and 6) of the Insolvency Law. 159 Articles 38 and 248(1.5) of the Commercial Procedure Code. 160 Clause 5 of the Resolution of the Plenary Session of the SC No. 45 dated 13 October 2015. 161 Resolution of the Eighth Commercial Appellate Court No. 08AP-5602/2017 dated 5 June 2017; Resolution of Commercial Court for the Moscow circuit No. F05-8738/2016 dated 8 July 2016; Resolution of Commercial Court for the Volgo-Vyatsky circuit No. F01-3755/2017 dated 24 October 2017, Ruling of the Commercial Court for the Jewish Autonomous Region No. A16-1801/2016 dated 3 April 2017. 162 According to Resolution of Commercial Court for the Moscow circuit No. A40-15873/17 dated 15 November 2017, Russian Insolvency Law does not apply to foreign companies. 163 Article 1(6) of the Insolvency Law. In the context of insolvency, the Russian courts granted enforcement of the German judgment on the basis of the reciprocity principle. See Resolution of the Federal Commercial Court for the North-West Circuit in case No. A56-22667/2007 dated 11 January 2008; Ruling of the Commercial Court of Saint-Petersburg and Leningrad Region in case No. A56-22667/2007 dated 28 May 2008. In non-insolvency context the Russian courts granted enforcement of the judgments rendered by the courts of England, Northern Ireland and the Netherlands on the basis of Article 6 of the European Convention of Human Rights, Article 98 of Agreement on Partnership and Cooperation establishing a partnership between the European Communities and their Member States, of the one part, and the Russian Federation, of the other part, 1994, and international comity and reciprocity. See for example, Resolution of Presidium of the SCC No. 6004/13 dated 8 October 2013, Ruling of the SCC No. VAS-6580/12 dated 26 July 2012 and Resolution of the Federal Commercial Court for the Povolzhye Circuit in case A55-5718/2011 dated 23 January 2012. The Russian courts referred to the Partnership and Cooperation Agreement as to a separate basis for enforcement. See Resolution of Presidium of the SCC No. 6004/13 dated 8 October 2013 and Resolution of the Federal Commercial Court for Povolzhye Circuit in case A55-5718/2011 dated 23 January 2012. 164 Article 245.1 of the Commercial Procedure Code. The Moscow Commercial Court upheld the objections of Sberbank against the recognition of restructuring proceedings of International Bank of Azerbaijan introduced by a judgment of an Azerbaijan court. Ruling No. A40-185979/2017 dated 9 July 2018. The court also attached assets of International Bank of Azerbaijan in Russia in contravention of limitations imposed by the Azerbaijan court. Ruling No.A40-97307/2018 dated 17 May 2018. At the time of writing, an appeal was pending. 165 Clause 33 of Resolution of the Plenary Session of the SCC No. 55 dated 12 October 2006. 166 Resolution of Federal Commercial Court for North-Western Circuit No. A56-22667/2007 dated 28 August 2008; Resolution of Federal Commercial Court for the Moscow Circuit No. A40-15723/08-56-129 dated 12 November 2008. 167 Ruling of Federal Commercial Court for the Moscow Circuit No.КГ-А41/5232-09-ж dated 9 September 2009. 168 Ruling of the SCC No. 2860/10 dated 4 May 2010. 169 Resolution of the Presidium of the SCC No. 10508/13 dated 12 November 2013, Ruling of the SCC No. VAS-11777/13 dated 17 March 2014. The Twenty First Commercial Appellate Court has considered this matter (resolution No 21AP-864/2016 dated 12 August 2016). One of the creditors of an insolvent Ukrainian company filed a claim with the Commercial Court of the Crimea Republic to declare invalid disposal of lease rights to a land plot located in Crimea by the insolvent company. The court of the first instance satisfied the claim. It recognised the Ukrainian insolvency without a special procedure and referred to Ukrainian rules of insolvency law. The appellate court set this ruling aside and declared the transaction valid. The reason was that the insolvency of the debtor did not per se lead to invalidity of the transaction. The time period for filing a cassation appeal has not expired at the time of writing. 170 The court dismissed a claim against a Dutch debtor on the grounds that the creditor has already had its claims registered in the course of the foreign insolvency proceedings. Ruling of the SCC No. 14334/07 dated 11 March 2008. 171 Ruling of the Supreme Court of the Russian Federation No. 305-ЭС16-13148(2) dated 23 August 2017. 173 Report by the Ministry of Economic Development regarding current situation in the economy of the Russian Federation 'Review of business activity. May 2018'. Published on http://economy.gov.ru/minec/about/structure/depmacro/201820065. 174 Report by the Ministry of Economic Development regarding current situation in the economy of the Russian Federation 'Review of business activity. June 2018'. Published on http://economy.gov.ru/minec/about/structure/depmacro/201820065. 175 The Russian Economy: Modest Growth Ahead provided by World Bank. www.worldbank.org/en/country/russia/publication/rer. 176 Bulletin of the Bank of Russia's Department of Research and forecasting. Macroeconomics and Markets. June 2018, p. 8. www.cbr.ru/Collection/Collection/File/6653/bulletin_18-04.pdf. 177 Bulletin of the Bank of Russia's Department of Research and forecasting. Macroeconomics and Markets. June 2018, p. 21. www.cbr.ru/Collection/Collection/File/6653/bulletin_18-04.pdf. 182 According to the draft, the debtor or a creditor is able to file for debt restructuring. If the court grants this application, the creditors and the debtors will have four months to develop a restructuring plan. The plan should provide for the repayment of all debts within the four years of its approval by the court or within up to eight years if the creditors approve it. The restructuring plan may provide for different options for the debtor's management: its shareholders may still appoint the directors, or a court-appointed insolvency administrator may replace them, in addition to the appointment of two directors, one selected by the shareholders, and the other by the creditors.